VIEWS! LOCATION! Move right in to this ideally located single level home with big mountain views. Enjoy being close to town, but with a private, country quiet feel. Open plan features new hardwood floors throughout. Large living room has wood burning fireplace and has french doors onto the huge deck and out to the views. Kitchen has new refrigerator, dishwasher & microwave and features a center island and dining area with 2nd set of french doors opening to the deck and the incredible view. Your master suite features a walk in closet and spacious master bath with new vanity, custom tiled shower and garden tub overlooking the view. Fresh paint, new light fixtures, new plumbing fixtures and fresh decking make this home move in ready. Full unfinished basement has high ceilings and 2 framed openings for possible garage entry from either side. 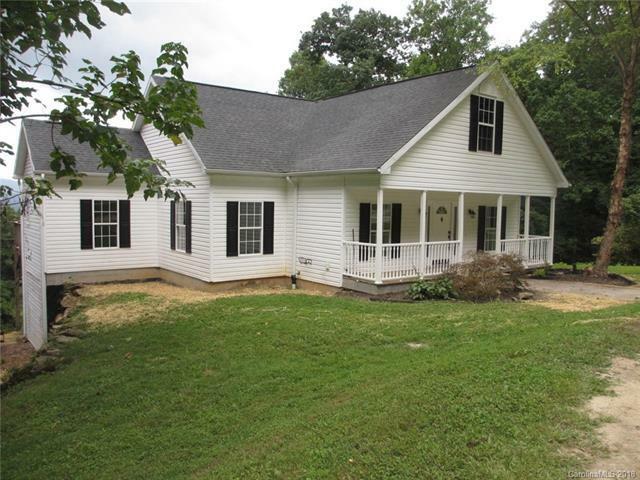 Covered front porch and huge deck overlooking the large 3+ acre lot.